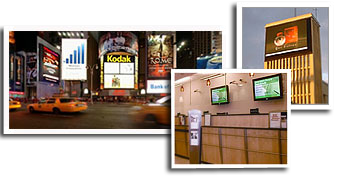 With Shuttle Digital Signage, it’s simple to turn your store front window, office lobby, conference room or point of sale into a dynamic showcase for your messages and promotions. Maximize your existing space, and promote your brand, services and products in a visually engaging and efficient manner – at surprisingly low costs. Shuttle Digital Signage products are perfect for video walls, digital menu boards, kiosks, wayfinding informational and retail advertising networks, as well as for use in schools, government offices and transportations systems. Digital signs let you change content as often as your business requires. Compelling messages can be made in real time and graphic space is virtually unlimited. Choose individual components to configure your own digital signage system, consult with an expert to help make yourchoices, or select a Shuttle turnkey solution. Shuttle offers SCALA certified and Do-It-Yourself Solutions which include media players, software and content for single or dual monitors. Whatever your knowledge level may be, Shuttle experts are the valuable partner you can rely on to design the perfect signage solution to meet your business needs. Or fill out this online request form. 1. Full-blown PC capabilities to create or playback full screen, full color graphics, animation, videos, slideshows, and more. 2. Infinite mounting and installation options, with small footprints and low profile cases. 3. Ultimate reliability, even in challenging environments, due to a rugged, aluminum chassis and a cooling system optimized for mini-sized PCs. 4. Free lifetime technical support for worry- free operations. 5. Full manufacturer warranty for ease of service.